What are the United Nations' 17 Sustainable Development Goals? 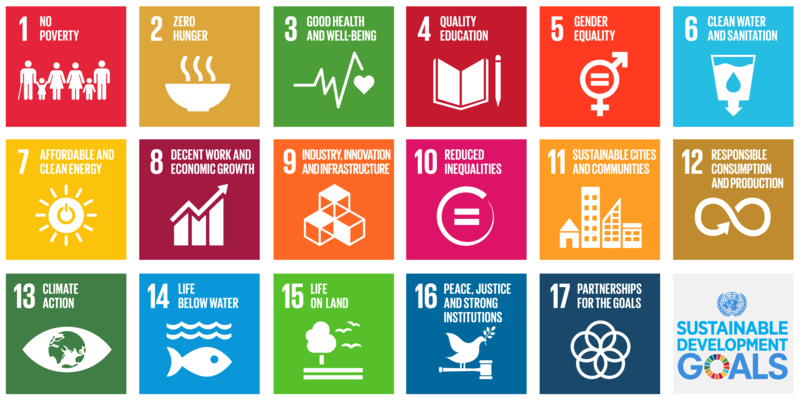 The UN created these 17 Sustainable Development Goals (also known as Global Goals or SDGs) in 2015 to raise awareness about these important issues. How can Curriculum Pathways help teachers and students address these goals? Before students are able to directly tackle the challenges outlined in the 17 Global Goals, they need to build content and skill-related knowledge. Whether you are working to create a global focus in your curriculum or designing a specific PBL or IBL activity for your students, Curriculum Pathways provides both academic content and the skill-based resources you need. Think of the 17 Global Goals as scaffolding to help students find greater relevance and meaningful applications for their learning. Challenge students to examine scientific concepts, patterns of human injustice, or data analysis skills in a global context. Global goals provide the opportunity to extend the challenges and successes experienced in a local project to similar components found in global issues. Check out the free Curriculum Pathways resources that provide academic connections to Global Goals for science, math, English, Spanish, and social studies.